Bullying and cyber bullying have become very common among school children in India. However, there are very few schools that have provided an institutional mechanism to deal with the same. Just like ragging in colleges, bullying and cyber bullying needs urgent attention of all stakeholders including schools, parents and Indian government. Working in this direction, the Central Board of Secondary Education (CBSE) has issued CBSE Guidelines for Prevention of Bullying and Ragging in Schools 9th March 2015, Reg: (D.O. No. 12-19/2012-RMSA-I) (PDF). 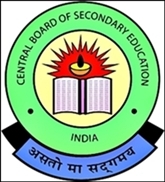 As per the guidelines, CBSE has directed all its affiliated schools to form an anti-bullying committee. The committee should comprise of vice-principal, a senior teacher, school doctor, counsellor, parent-teacher representative, school management representative, legal representative and peer educators. According to Perry4Law’s Techno Legal Base (PTLB), school children in India must be suitably educated about cyber issues like cyber bullying. Protecting children in cyberspace is a collective responsibility of all stakeholders, including Indian government. At a time when Indian government is adopting Digital India project, our society at large is required to take care of our children while they use Internet and information and communication technology (ICT). Similarly, Centre of Excellence for Cyber Security Research and Development in India (CECSRDI) has also recommended that the Digital India initiative of India must also include cyber security awareness for children within its objectives to protect our young generation. This move of CBSE would go a long way in maintaining a disciplined environment in school and its cyberspace. However, CBSE must ensure that its guidelines are properly implemented in schools by insisting upon “compliance reports”, opines PTLB.